Bottle Rockets performs at the ASACS-organised competition.Image credit: ASACS. 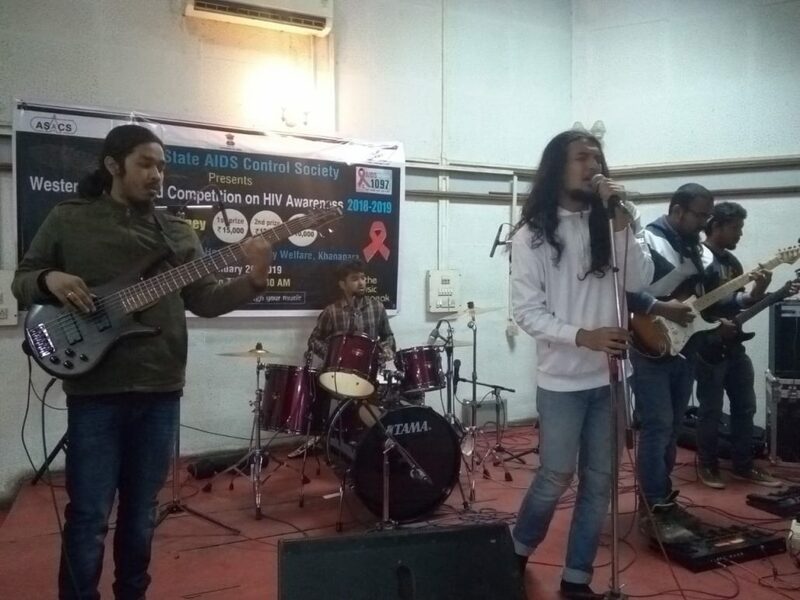 Assam State AIDS Control Society (ASACS) as part of the multi-media campaign on HIV/AIDS, organised Western Rock Band Competition on HIV/AIDS awareness on January 20, at the auditorium of State Institute of Health & FW, Khanapara. Altogether four bands – Bottle Rockets, Battle Symphony, Existence after Trestle and Tyrrhenian participated in the finals. The band Tyrrhenian won the competition while Bottle Rockets and Existence After Trestle were adjudged first and second runner-ups. The winner will be awarded with Rs 15,000 cash with certificates and the first runner-up and the second runner-up will be awarded Rs 12,000 and Rs 10, 000 with certificates. As per rules of the competition, the participating bands were judged by a panel of judges – Amitabh Baruah (Guitarist), Hridoyjit Goswami (Vocalist) and Gaurav Bania (Drummer) – on basis of their presentation, quality of performance, synchronicity, interaction skills, songs on HIV and time management. The winning band will perform in the Northeast Multi-Media Event to be held at Kohima on February 18, 2019.